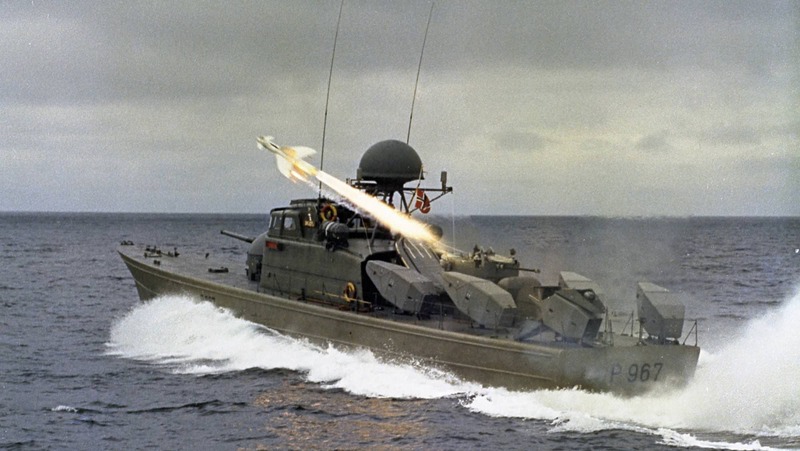 The discussion on earlier posts, “The 87 Foot WPB Replacement –Response Boat, Large –Interceptor” and “57mm ALaMO Round” has prompted some additional thoughts that seem to require more than a comment, mostly regarding the 57mm Mk110 and its new ALaMO guided projectile. I also had intended to mention the fact that, if the WPB replacement included provision for stern launch of an 8 meter over-the-horizon boat, as was done with the Webber class FRC, then any mission modules that might developed for the Webber class to take the place of the boat, as discussed in the post, “Webber class Could be the Navy’s Light Duty Pickup Truck,” would probably also be apply to the WPB replacement. These might include anti-ship cruise missiles, Unmanned systems, or small towed array sonar systems. 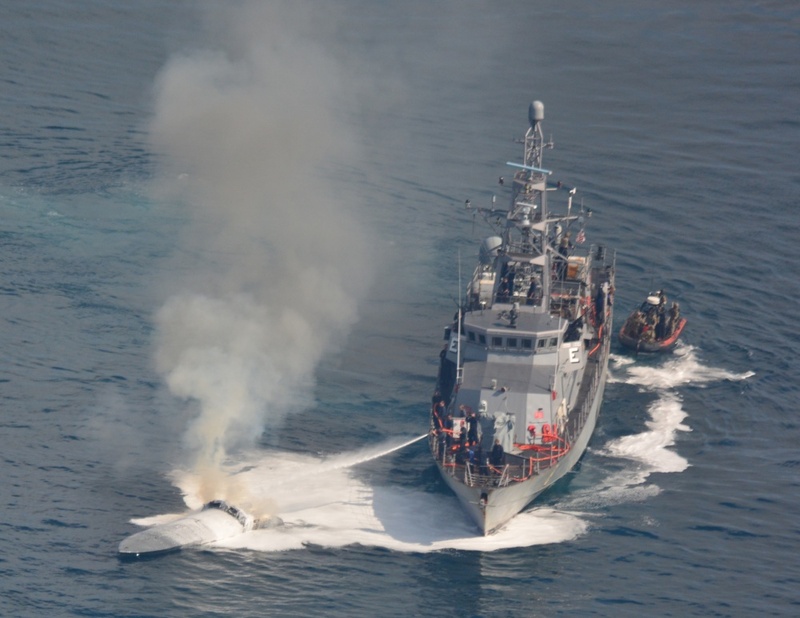 While the Iran swarming boat attacks are the normal justification for developing the ALaMO round, the emerging threat, unmanned surface vessels (USV) used to make “suicide” attacks may have also been a consideration. As can be seen above, small fast unmanned surface vessels can be hard to kill, and they have proven an effective weapon as can be seen below. One method of attempting to deal with the swarming boat threat has been to have the projectile burst above the boat, showering it with shrapnel. These airbursts could work pretty well against manned boats by killing the exposed boat operators, but the technique is less effective against unmanned craft. It may even be possible to shield critical components of unmanned craft against the effects of shrapnel. This is also a threat the Coast Guard may want to consider since unmanned explosive motor boats are relatively easy to construct. Video: Houthi attack on Saudi Al Madinah-class frigate using unmanned explosive motor boat. 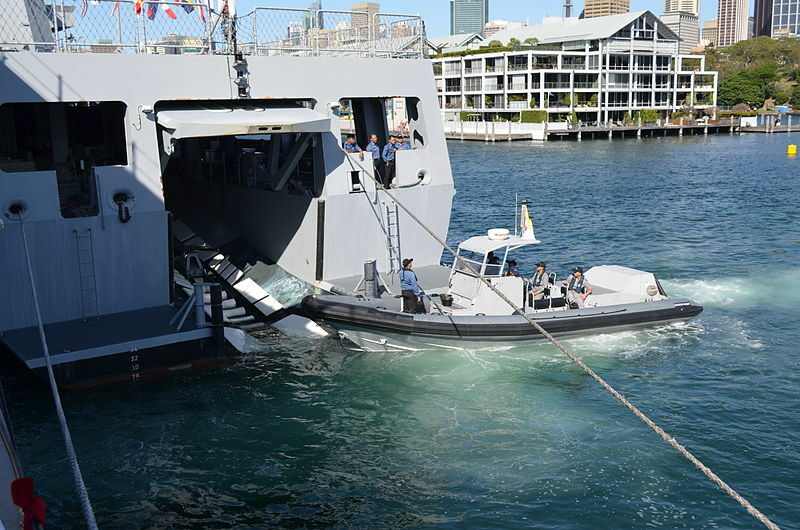 The new ALaMO projectile may have been developed with this Unmanned Surface Vessel (USV) threat in mind. This suggest to me that the projectile would be designed to home on the heat generated by the craft’s engine. This would work equally well against manned craft. If the ALaMO round is IR homing, then perhaps it would also home on the heat of a larger vessel’s engines as well, making it more useful for countering larger vessels. If the 57mm Mk110 gun’s projectiles have made it a reliable counter to small, fast, highly maneuverable threats and perhaps some midsized threats, and if it can discriminate between its intended target and other traffic that may be in the area, it may be worthwhile to consider its inclusion in the WPB replacement. I still do not see it capable of countering large or even many medium sized threats. I still think we need to know more about how the round works before we can assume this is correct, but assuming it is correct, can we put this weapon on a vessel this small? I think we can. This brought to mind how some earlier craft that had had relatively large guns. I will discuss some of the them and point out what I believe were notable features. If you look at the Spica class above, it is a bigger than the likely WPB replacement (139 ft loa and 235 tons full load, 40 knots, 12,750 HP). It is 2/3 the size of the FRC, and about 29% more than my assumed maximum (182 tons) for the WPB replacement. It was a steel ship. It was equipped with an earlier version of the same 57mm gun found on the National Security Cutter (NSC) as well as the 9LV combat system which was the basis for the Mk92 Firecontrol system used on the 378 FRAM, and six heavy weight torpedo Tubes. The Torpedoes each weighed approximately 1800 kilos or about two tons, while the gun weighted about seven tons, so the vessel had over 19 tons of weapons. The fire control, ammunition, launchers, and Electronic Warfare equipment would have added to the payload weight. By comparison, if our WPB included the current model 57mm (16,535 lbs/7,500 kg), two Mk54 torpedoes (608 lbs/276 kg each), and eight Longbow Hellfire (108 lbs/49 kg) the total weight of weapons would only be a little over nine tons (18,615 lb/ about 8,461 kg) plus ammunition, launchers, Electronic Warfare equipment, and firecontrol systems. The Over-the-Horizon boat, a primary “weapon,” may add as much as four tons, so the full “weapons load” would be about 13 tons. (I could not find a weight for the Over-the-Horizon boat, but the larger Response Boat, Small weighs a bit over 8 tons.) That is about 68.4% of the weight of systems on the Spica. It is not a complete accounting, but I think it is indicative and I will continue to use this format below. One thing I liked about this, and the next two designs, is that the bridge and operations rooms are located at or near the center of pitch (which seems to have been done with the FRC as well). This makes it more comfortable for the watch. It also results in a long foc’sle. This allows the gun to be well back from the bow while still being far enough forward of the superstructure to allow a wide arc of fire. That is, it is capable of firing well abaft the beam. 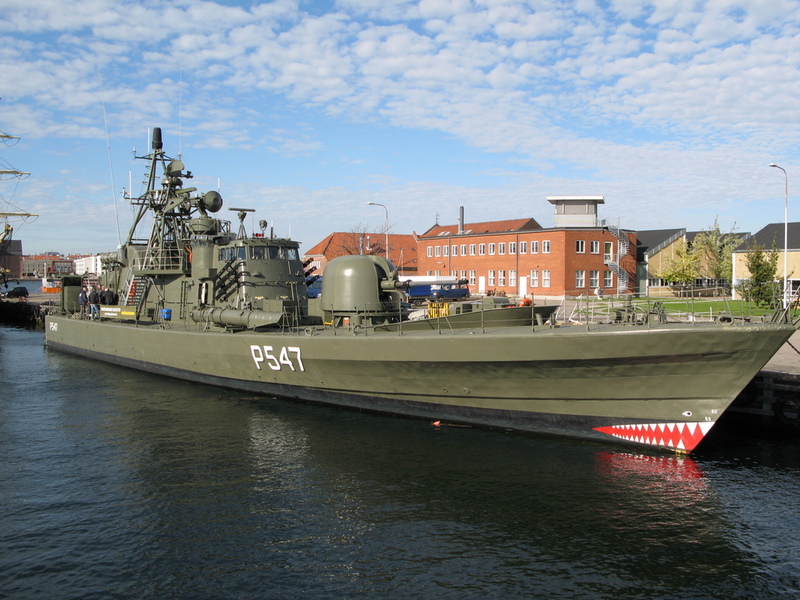 The Norrkoping class was derived from the Spica class and sometimes referred to as the Spica II class. It gained a little weight, being 143 ft loa and 255 tons (41 knots, 12,750 HP). 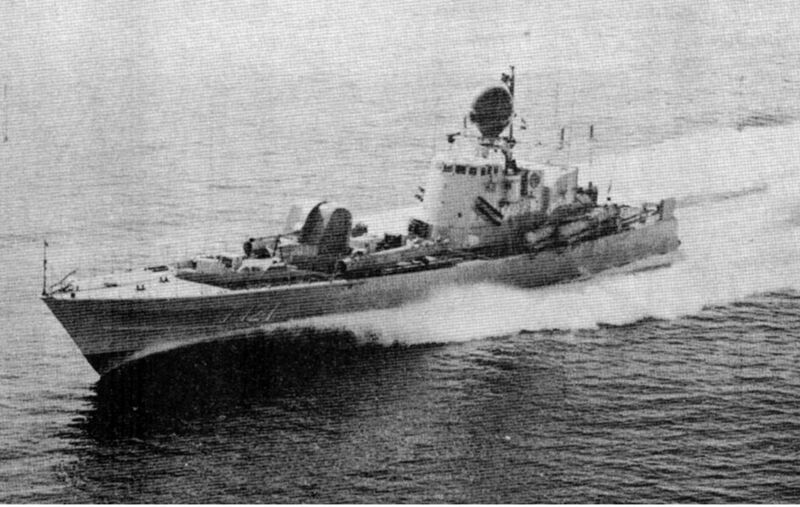 Initially it was armed like the Spica class, but subsequently the four of the torpedo tubes aft of the superstructure were replaced by four RBS-15 missiles. These weigh in at about 800 kg or 1760 lb. Consequently the weapons load is almost a ton lighter than that of the Spica, but still over 18 tons plus ammunition, launchers, Electronic Warfare equipment, and firecontrol systems. At the same time the missiles were installed, the 9LV system’s radar was replaced by the Sea Giraffe which is the radar installed on the Independence class LCS and planned for the Offshore Patrol Cutter (OPC), US designation AN/SPS 77 V(1). This radar is also used on the Swedish Visby class corvettes completed 2002 to 2015. The Willemoes class were similar, slightly larger vessels (46 m/150 ft 11 in loa and 260 tons full load, 40 knots, 12,750 HP). Originally they were equipped with four torpedo tubes in addition to the Oto Melara 76mm gun. The after pair of torpedo tubes was replaced by launchers for eight Harpoon Anti-Ship missiles (1,523 lb / 691 kg with booster). 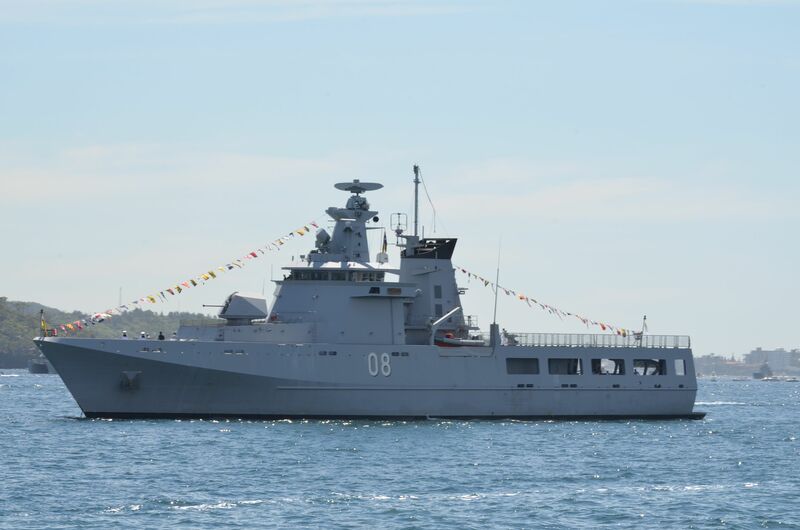 Its weight of weapons after installation of the Harpoons was just over 15 tons, plus ammunition, launchers, Electronic Warfare equipment, and firecontrol system (also a 9LV). The unique feature of this class was that they had small diesel engines for cruising at up to 12 knots. The Storm Class, (120 ft loa, 138 tons, 30 knots, 7200 HP) is illustrated above, fully armed and launching a Penguin missile, and below in a later configuration after removal of missiles and transfer from the Norwegian Navy to Lithuania. It is considerably smaller than the vessels above, at the lower end of what I expect the WPB replacement to displace, but still capable of mounting considerable weaponry, in this case six Penguin anti-ship missiles, and 76 and 40 mm guns. The missiles weighed 385 kg (849 lb). The 40 mm weighed about 3.5 tons. I was unable to find the weight of this 76mm gun. It would not have weighed as much as the Oto Melara, but it has to be at least 6 tons, so a total weapons weight was at least 12 tons. 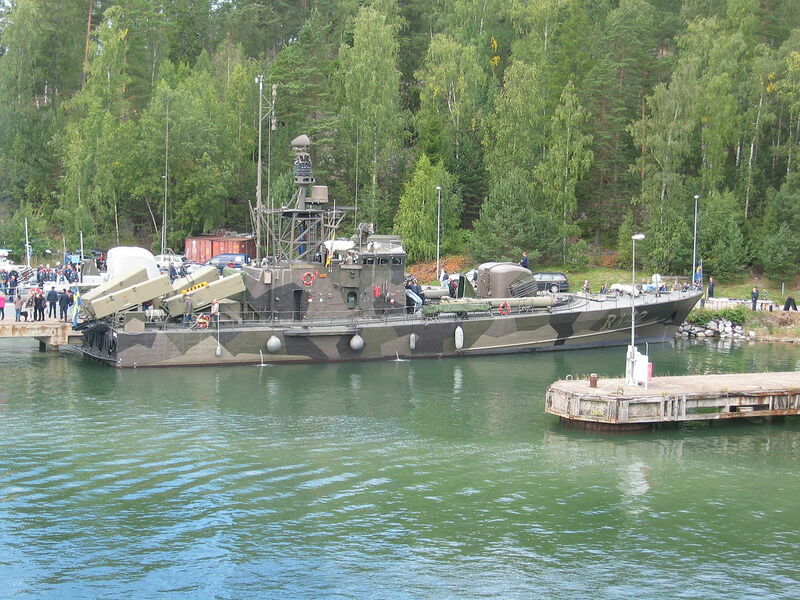 If we chose to do so, it appears we could build something like a slightly scaled down version of the Spica that could mount a 57mm Mk110 forward and still provide an 8 meter Over-the-Horizon boat aft. The firecontrol could be as simple as the electro-optic unit from the Mk38 Mod2 or as capable as the SeaGiraffe which would give us a true all weather capability. In addition, it could probably mount tubes for two light weight torpedoes and eight Longbow Hellfire in vertical launchers. (I would think the Hellfires offset to one side, at the back of the superstructure. Foot print for a 2×4 cluster of missiles would likely be only about 4 x 3 feet.) I know the torpedoes are an unconventional approach, but it seems the surest way to stop a large ship and supposedly the Mk46 Mod5 and later torpedoes have an anti-surface capablity. Replacing the Marine Protector class WPBs with vessels equipped like this would give the Coast Guard a robust and truly capable Ports, Waterways, and Coastal Security capability. 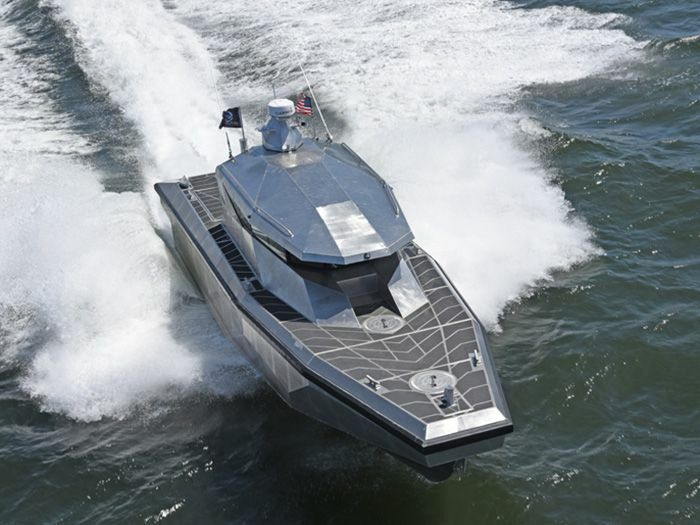 MarineLog reports a contract for an interesting new patrol boat for the Texas Parks and Wildlife Department. 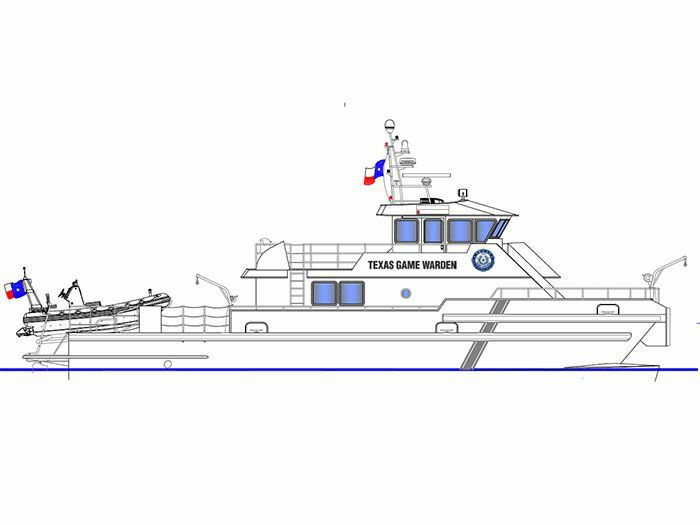 “JANUARY 28, 2019 — All American Marine, Inc. (AAM), Bellingham Bay, WA, has won a contract from the Texas Parks and Wildlife Department (TWPD) for construction of an 80’ x 27’ Teknicraft design aluminum catamaran for operation in Texas State waters and offshore in the Gulf of Mexico. A good look at this might inform our selection of future replacements for the 87 foot WPBs. MarineLink reported this experiment, but I also found an excellent report with more photos here. Comparison with the benchmark sea trials – conducted in January in exactly the same conditions – by CMN’s sea trial team showed a reduction in fuel consumption of 18 percent at 12 knots, 27 percent at 15 knots and 22 percent at 20 knots. The top speed increased from 19.7 knots to 21 knots. The earliest post, “Hull Vane on an OPV,” reported the effects of applying the innovation to a 108 meter Dutch Holland class OPV, a ship very much like the Offshore Patrol Cutter (OPC). A comment on this earliest post, received from the Hull Vane team, noted. As the new ships enter service, we will probably see the Webber class using more fuel than the 110s, and almost certainly the OPCs will use more fuel than the 210s and 270s. I would think we would want to check this out, starting with contacting the Dutch Navy and the French Affaires Maritimes to get their take on the tests. Did they think they were successful? Are they going to use Hull Vane on their own ships? If not, why not? That would cost us very little. If the responses are positive, it would make a great R&D project. Bollinger might welcome the opportunity to try one out on a new construction Webber class. The baseline capabilities of the class are already well documented. CoastGuardNews reports a drug interdiction incident that occurred in the Eastern Pacific on April 7. I don’t usually talk about individual drug busts, but this was a bit unusual. 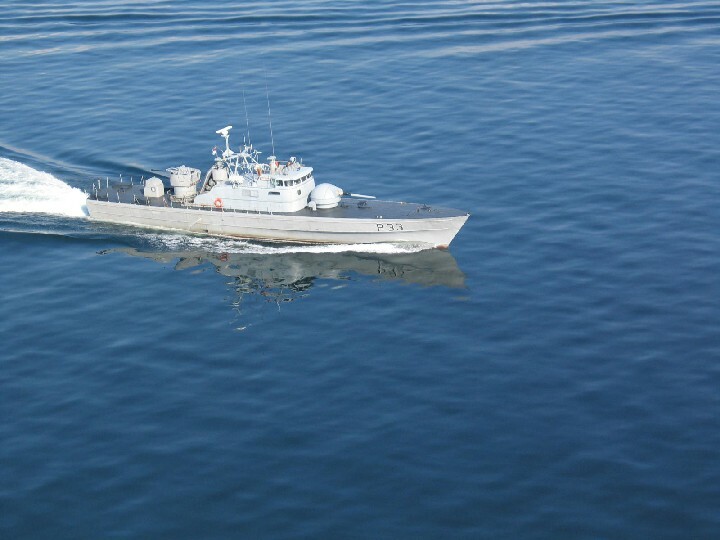 The vessel involved wasn’t a cutter, it was a Navy Cyclone class patrol craft, the USS Zephyr (PC-8). Using Navy vessels for drug interdiction has become rare, but that was not what I think makes this significant, it is that the vessel was essentially the same size as the Webber class WPCs (387 tons full load for the Zephyr, after it was lengthened, and 353 tons for the Webber class). If the Navy can run a PC from Florida to the Eastern Pacific transit zones, so can the Coast Guard. We don’t have enough large cutters to exploit all the intel we have on the target rich transit zone. Perhaps we could use Webber class. We have 18 of the class in 7th District, with six each homeported in Miami, Key West, and San Juan. 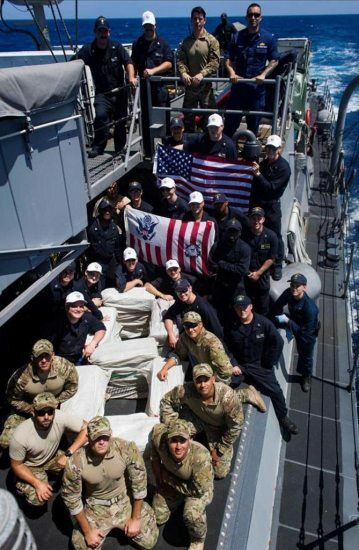 USS Zephyr (PC 8) and U.S. Coast Guard Law Enforcement Detachment Pacific personnel, conducting operations in support of JIATF-S Operation Martillo. U.S. Navy photo by MC3 Casey J. HopkinsDefenseMediaNetwork has an interview with the then CO of USS Zephyr (PC-8), LCdr Cameron Ingram, shortly after they had participated in the seizure of a GoFast under Seventh District Operational Control. The CO, obviously enjoyed working with the LEDET, and it appears he likes the Coast Guard’s Over the Horizon boat which operated from the Zephyr. 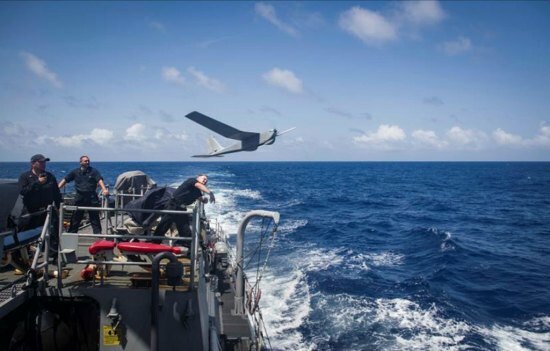 USS Zephyr crew members operate a Puma UAV. They have aboard the Puma UAV. Seems it could work on the Webber class as well. On Zephyr the UAV is operated by an HM and an EN. They also have the new Mk38 mod3 which includes a coaxial 7.62 mm machinegun. This gun should start showing up on Webber class WPCs soon. Interestingly while he appreciates the optics that come with the Mk38 mod3, he would still like to have a FLIR on the mast. There is an interesting discussion following the interviewers question, “It’s good to have an extra watchstander,” about the benefits of having a Merchant Marine Academy cadet aboard.